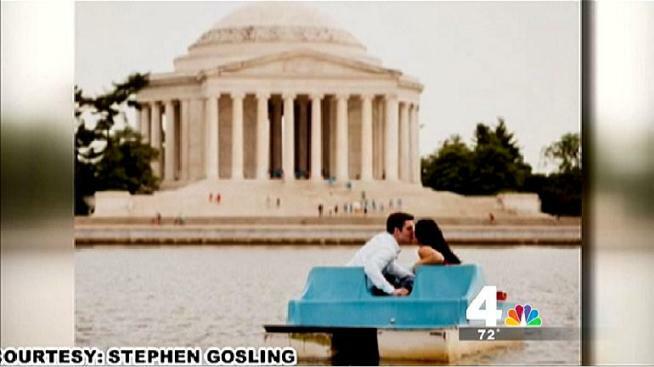 Michael Cassesso and his fiancee, MaiLien Le, went on their first date at the Jefferson Memorial. It's where they fell in love. And where they had a dream wedding planned for Sunday. Until the padlocks went up on the gates to the Memorial as the government shut down at midnight Tuesday. "It's surreal," Cassesso said. "That's the only way I can really put it." Cassesso and Li are one of 24 couples who planned to get married at memorials on the National Mall this month. Now, they may have to make other arrangements due to the government shutdown. Nine of the National Mall weddings were scheduled for this week, said National Park Service spokeswoman Carol Johnson. The weddings were scheduled with permits in advance, but are now postponed indefinitely. Besides the Jefferson Memorial, weddings also are held at the D.C. War Memorial honoring World War I veterans. "It's frustrating that it happened," said Cassesso, who added that wedding guests are already flying into D.C. "Everyone wants their wedding to be exactly how they pictured it." But he said there's no question his wedding will happen. He told Li, "Come Sunday, I am going to be your husband and you are going to be my wife, and that's all that matters. It doesn't matter where it happens; what matters is that we are going to be together for the rest of our lives, and I love you." If other couples are determined to marry at one of the memorials, they can reschedule once the government reopens, Johnson said.